Finally able to watch one of the hottest, if not the hottest, WTA tennis player today in action. 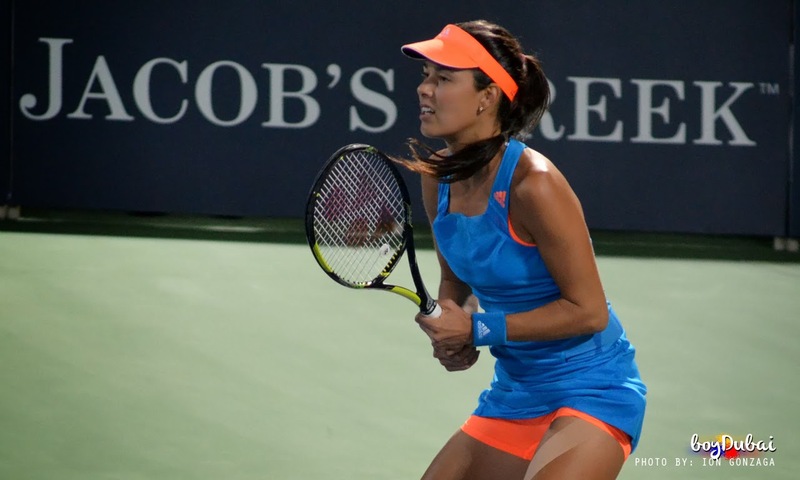 26-year old Ana Ivanovic of Serbia wins over Germany's Angelique Kerber in the 1st round of Dubai Duty Free Tennis Championships 2014. After losing the first set 3-6, Ana regained her pace and came back to win the 2nd (6-3) and 3rd sets (7-6/8-6). She is currently ranked 12th in the world. Angelique is ranked 8th. Here are some snaps I took. Let the pictures tell the rest of the story. Ajde Ana!